David McAlpin, will talk at Green-Wood Cemetery as part of their Secret Mausoleum Club event series, held exclusively for their Key Holder members. David's talk, July 21st, will be about the McAlpin family ties to New York real estate from Ossining to 34th Street, to Brooklyn and the east end. 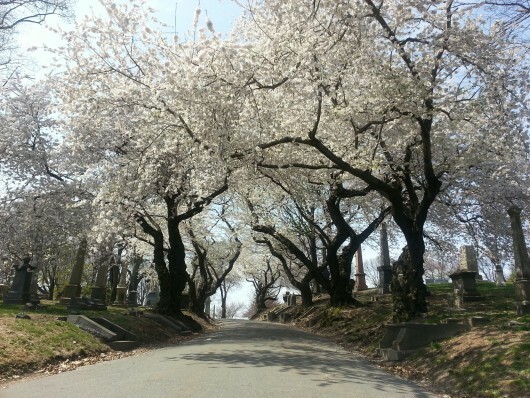 Founded in 1838 and built on the site of the Revolutionary War Battle of Long Island, Green-Wood Cemetery is now a National Historic Landmark. New York notables of every stripe are interred there, including Civil War veterans, statesmen, social elite, and even some of baseball's earliest pioneers. Green-Wood has an exciting roster of programming and events. If you are interested in becoming a member and attending this and other Secret Mausoleum Club events, please contact Chelsea Dowell, Manager of Membership and Programs at (718) 210-3071 or chelseadowell@green-wood.com.